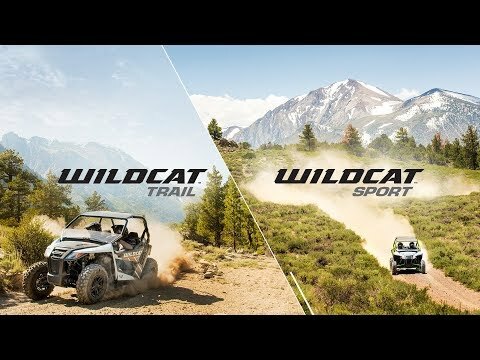 Wildcat™ Trail’s 50-inch width lets you access and dominate any off-road route. Out here, nowhere should be off limits. But narrow Class 1 trails don’t accommodate most side-by-sides. Enter Wildcat Trail. At just 50 inches wide, it gets you into tight, untamed trails and other places most riders can only dream of. Plus, it has all the power you need and a smooth ride along the way. The trail is calling. SUSPENSION & HANDLING: FOX® Shock Double A-Arm suspension, electronic power steering, electronic 2/4WD with front differential lock. POWER: Wildcat Trail’s 700cc inline twin-cylinder, closed-loop EFI engine gives you fuel-efficient power to keep you riding all day long. DRIVER EXPERIENCE: Infinitely adjustable tilt steering, aluminum wheels, 26-inch aggressive tires. HAULING & STORAGE: Use Wildcat Trail’s 2-inch receiver, 300-lb. capacity bed with tie-down hooks and 1,500-lb. towing capacity for easy, reliable hauling. 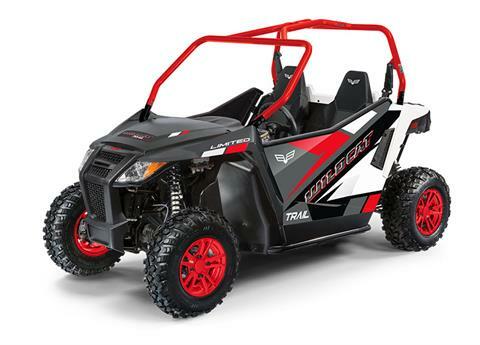 RELIABILITY: Structurally-welded, high-strength steel frame; six-month warranty; advanced, aggressive durability testing; U.S. manufacturing in Thief River Falls, MN; backed by the power of Textron, a Fortune 250 company. *Contact dealer for complete details. Financing is OAC and rate/term varies by model. Pricing is subject to change without notice and offers are subject to availability. Some images may be for illustration purposes only. All prices are plus tax, freight, setup, title, license, documentation fees, and dealer installed accessories. Dealer retains all rebates and incentives. We reserve the right to correct typographical errors and omissions.